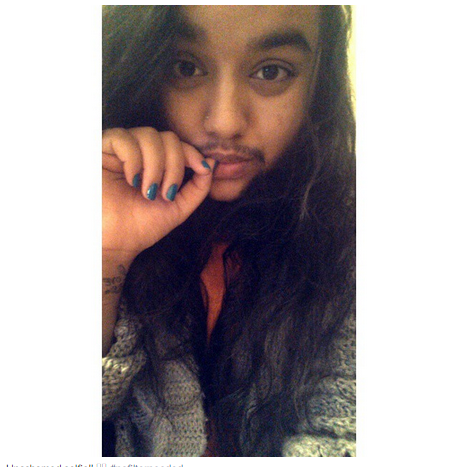 UK based 24-year old Harnaam Kaur was born with polycystic ovary syndrome, a hormonal disorder that causes a woman to have more male hormones than female ones. 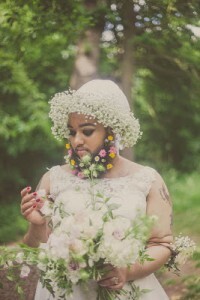 As a result, she started growing a beard when she was 11. 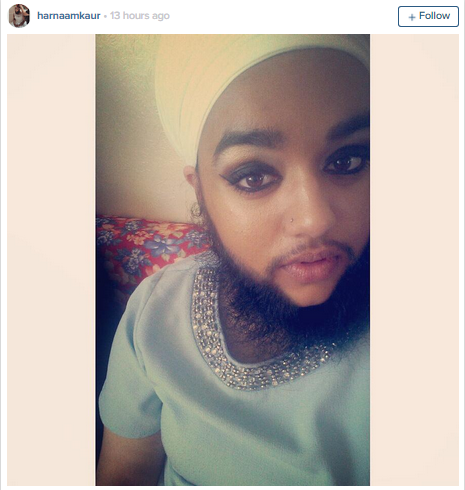 While growing up in the UK, Harnaam Kaur was teased relentlessly from nursery right through to high school for having facial hair. But at 16, she decided enough was enough and embraced herself, imperfection and all. Most people find her confidence inspiring while others want her to go buy some shaving cream or get some laser. The beautiful damsel recently did a lovely wedding photoshoot which she posted on her instagram.